Episode 240! And it has news. Some of that news includes the possible sort-of-return of Toys"R"Us, a surprise comic, and that Equestria Girls music video. Rarity broke the internet. Nemesis and Alca7raz then talk about Friendship is Magic #71! A comic which is very clearly Nightmare Night themed. Then it's "Father Knows Beast," a season 8 episode. 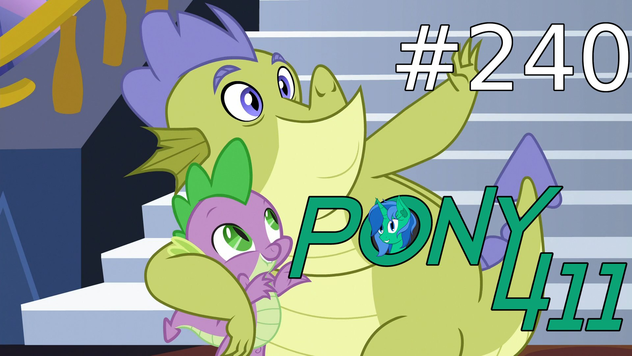 In which Spike meets his dad! Or does he? After that, Fan Content has three songs and a fanfic. So tune in!